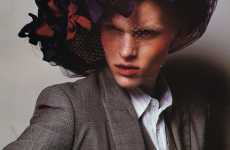 For its current 'Man Issue,' WAD magazine compiled a stock of makeup-wearing men, with red and plum-colored lipstick. In the hopes of connecting with the audience and promoting androgyny and sexuality, the French magazine hired make-up artist Audrey Gautier to fulfill the task. The men were photographed by Thomas Paquet and look emotionally numb, but are publicizing the continuous judgment that follows men with makeup. 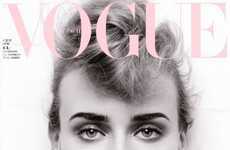 Regardless of the magazine's target approach, it is a gutsy take on a taboo topic and I highly applaud them.